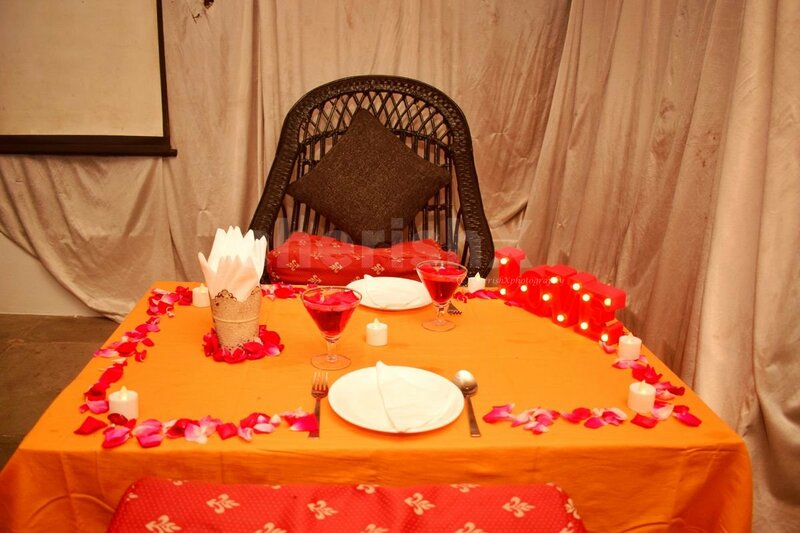 A private movie and dinner crafted with love- in a hut of affection! 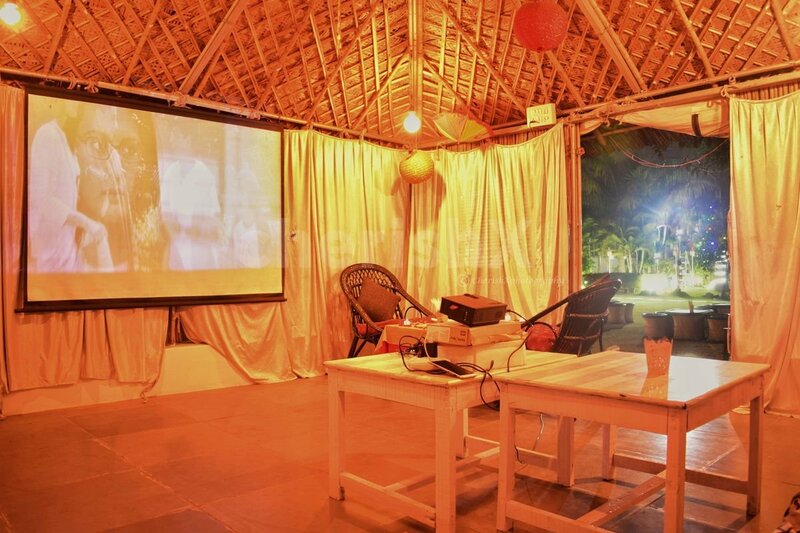 "Enjoy a private movie and candle light dinner inside a cute and cozy hut which is located in the midst of lush greenery, fresh grass and swaying trees at cafe circle. 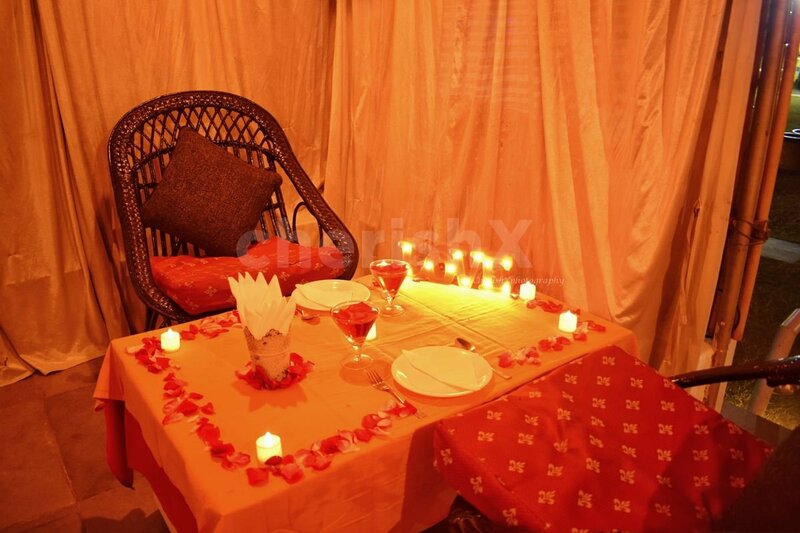 Experience the romance of a candle light dinner in the interiors of a comfy and classy 'hut'. You will be welcomed warmly with delicious mocktails for two, and you will be served a decadent 4 course meal consisting of 2 starters, 2 mains, unlimited breads and 2 desserts from the a la carte menu. For your convenience, you will have a private butler to attend to you. You can watch a movie in private on a big screen, however you will have to carry your own movie in a pendrive. 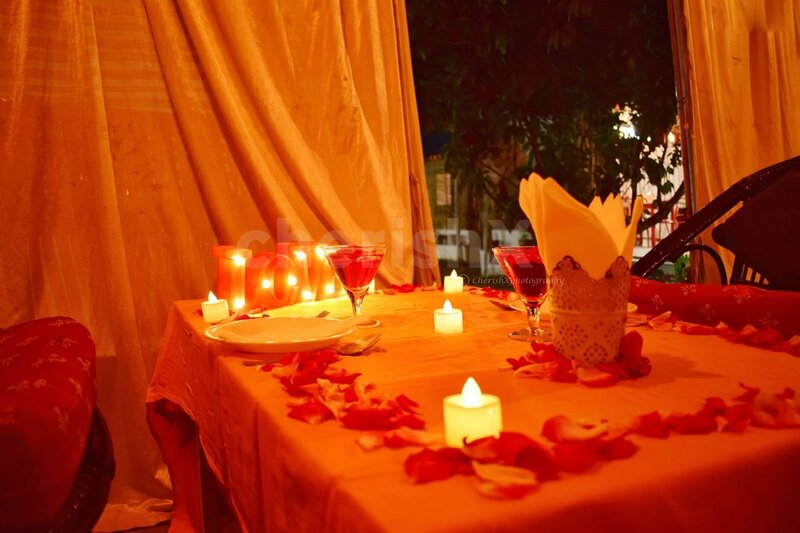 Your table will be decorated to the nines with candles and rose petals. Sway to the ambient music, enjoy your entertaining movie, and gorge on the delicious feast! You will have to carry a movie of your own choice in a pendrive to watch on the big screen. The experience will be fully private and absolutely comfortable for you and your loved one! The service you will be provided will be most cooperative and hospitable. 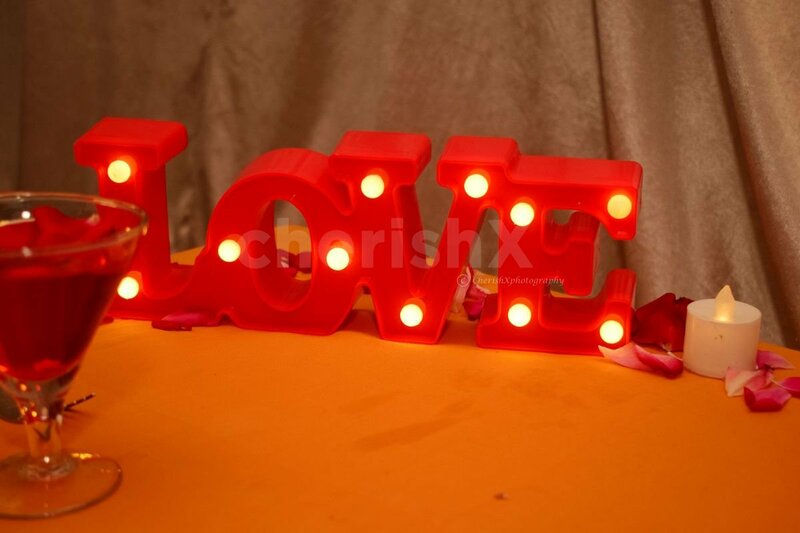 All you need in this perfect date set up is some of our thoughtful customisations! You can choose to have a yummy cake to sweeten the occasion, or gift a bouquet of beautiful flowers to your loved one."